Her practice includes Federal Energy Regulatory Commission (FERC) Order No. 1000 transmission planning and development, North American Electric Reliability Corporation (NERC) reliability matters, administrative litigation, transmission rate proceedings, and interconnection and regulatory issues underlying corporate and financial transactions in the energy sector. Prepared transmission rate filings under Federal Powers Act (FPA) Sections 205 and 219 to establish forward-looking formula based rate and incentive rate treatments, including enhanced return on equity (ROE), recovery of CWIP in rate base, abandonment cost recovery and a hypothetical capital structure. Prepared FPA Section 203 filings for the acquisition/disposition of transmission and generation related facilities. Provides advice on all aspects of NERC Reliability Standards, including NERC and Regional Entity audits and investigations, standards development and compliance, Compliance Registry issues, penalty liability and hearing processes. Advises on FERC-related compliance issues in connection with utility reporting requirements, interlocking director applications, centralized service company requirements and standards of conduct issues. Provides general FERC-related advice regarding merchant generation interconnection issues, market based rate applications, QF certifications, and operation and maintenance issues. Provides policy advice on PURPA regulation, net metering and distributed generation issues, and the reliability impacts of environmental regulations. 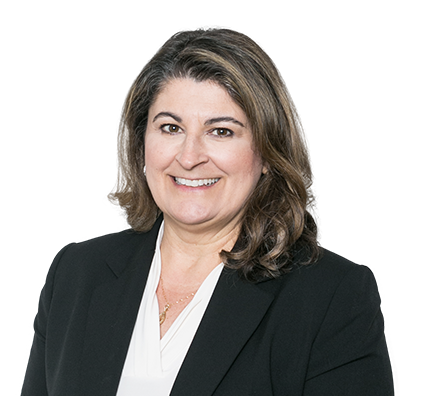 Linda was a trial attorney at the Federal Energy Regulatory Commission, Office of the General Counsel, in the Office of Electric and Hydro-Electric Litigation (1993-1997) and the Office of Enforcement (1991-1993). Provides analysis and advice regarding potential regulatory or other legal barriers to entry by non-incumbent developers under state and federal laws and regulations. Prepared initial FERC filings to establish a forward-looking transmission formula based rates for new transmission companies in the Midwest and PJM. Prepared requests for incentive rates under FPA Section 219 and obtained FERC approval for enhanced ROE, recovery of CWIP in rate base, abandonment cost recovery and a hypothetical capital structure. Provides advice and representation in connection with Order No. 1000 compliance filing proceedings, appellate proceedings and implementation processes in various RTO/ISO and non-RTO regions. Obtained FPA Section 204 authorizations for the issuance of debt, prepared Section 203 filings for the acquisition of facilities, and prepared Section 205 filings for approval of incentive rate treatments. Obtained FERC approval for a newly formulated “forward-looking” formula based rate that has since become routine. Prepared Section 205 formula-based rate filing to revise MISO’s Attachment O transmission rate formula to include a temporary adjustment for the rate recovery of deferred costs associated with an enhanced vegetation management program in the Midwest following FERC’s bulk power reliability policy initiative. Represented clients in matters involving the development of, and compliance with, NERC’s mandatory electric reliability standards. Assisted a large transmission operator in developing policies to govern the allocation of NERC-imposed penalties within its region. Represented clients in confidential NERC audits and compliance violation investigations. Advise clients on Compliance Registry issues, standards compliance, penalty liability, hearing and audit issues, and monitoring the development of NERC and Regional Entity compliance and enforcement programs. Advise clients on FERC compliance and enforcement matters, including operational audits, nonpublic investigations, and self-reports. Provide guidance on requirements set forth in FERC's enforcement and compliance policy statements and assist regulated companies to develop, implement and defend comprehensive internal FERC compliance programs. Represented electric utility clients in the development of corporate governance programs designed to adequately identify, prioritize and support compliance with applicable FERC regulatory obligations. Advised electric utilities in matters pending before Congress related to energy and environmental policy, including EPA’s Clean Power Plan, PURPA reform, baseload generation cost recovery issues, grid reliability, integration of distributed generation and net metering policies. Advised clients on FERC rulemakings and other policy initiatives involving transmission, generation and procedural issues. Prepared filing and supporting materials for approval of liability limitation provisions in RTO open access transmission tariff. Prepared Section 205 filing for RTO recovery/pass-through of NERC penalty costs. Advised and participated in settlement proceedings regarding the Reliability Pricing Model proposal for capacity markets in PJM. Advise renewable energy project developers, investors and lenders on FPA Section 203 asset transfer rules, Section 205 rate authorizations, QF regulations, and PURPA enforcement issues. Advise financial institutions on issues surrounding potential divestiture (or retention) of FERC-jurisdictional transmission assets and termination of investments in independent generation facilities. Prepare Section 205 filings for market-based rate authority and related filings for Exempt Wholesale Generator Status; prepared market-based rate triennial update filings. Provide general FERC-related advice regarding generation interconnection issues and operation and maintenance issues regarding restructuring of projects turned back to lenders. Prepared FPA Section 203 filing for approval of transfer of leased generation facilities and declaratory order application for project owner to attain passive ownership status. Regularly provide advice to clients on utility compliance and reporting requirements regarding PUHCA, interlocking director requirements, centralized service company issues, standards of conduct, and affiliate cross-subsidization issues; Obtained FERC “No-Action” letter regarding standards of conduct issues in connection with a transmission-related regional reliability training program. Advised on various merger and other corporate transactions involving traditional utilities, holding companies, independent power producers, and market participants with particular emphasis on Federal Power Act, Section 203 issues, market structure analysis, Qualifying Facility (QF) issues, and PUHCA 2005 issues.